First, let’s define the terms. An LLP is a Limited Liability Partnership. It basically protects a partner from the misconduct and negligence of the other partner(s). An LLC is a Limited Liability Company. It has a corporate shield and a chameleon tax structure. The S corporation is a simple corporation taxed under Subchapter S of the IRS Code. These are the basic choices a person has to establish a business entity. Most states have adopted some type of LLP law. LLPs are relatively new (1992 for the first state) and have not gained a lot of traction in the business community. In some states an LLP corporate shield is limited in an LLP and does not protect the partners’ personal assets against intentional acts, such as contracts, made by the LLP. Limited liability companies (LLCs) have a true corporate shield – the same corporate shield that an S corporation or C corporation has. So in an asset protection war, LLC vs. LLP vs. S corp, the LLP probably comes out the looser, and the LLC vs. S corp is a draw. The primary difference between LLP and LLC protection is the non-coverage of intentional acts under the LLP limited liability protection umbrella. In some states, the LLP is limited to use by “professionals,” such as attorneys, accountants, architects, etc. In those states, the LLP vs. LLC choice is a non issue if you are not one of the professionals authorized to form an LLP. Whether you’re looking at an LLC or LLP, the tax issues may control your decision. The LLC is a chameleon because you get to choose how it is taxed. It can be taxed as a sole proprietorship, partnership, C corp, or S corp. You get to choose. If you’re looking at an LLC vs LLP, obviously the LLC has more options when it comes to deciding how the entity will be taxed. 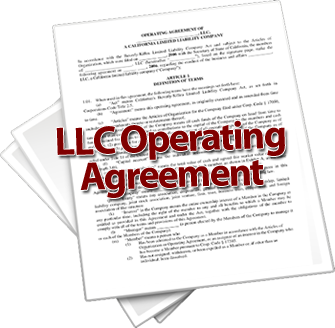 The LLC and LLP are close in ongoing maintenance requirements. A small business entity requires some ongoing care and feeding. A huge majority of folks set up their company by filing the LLC, LLP, or corporate papers, and then forget about the “formalities” of the business maintenance. You can’t do that, because the business entity will fail to protect you when there is a problem. The vast majority of business entities fail when they are sued. The creditors simply “pierce the corporate veil” and go after the owners personally. Whether you are looking at LLC verses LLP or either the C corp or S corp as an entity, it won’t do you any good unless you learn to maintain it. You need to look carefully at the LLP, LLC and corporate structures. On close examination, I think you will find that the LLC is probably the best entity to operate most small businesses under. But, you have to learn how to use your LLC to get the asset protection, tax benefits, and maximum flexibility out of the entity. Just having the attorney file the papers or using the “one-size-fits-all” websites isn’t going to give you nearly as much money out of your LLC as you could get by really learning to use your LLC. 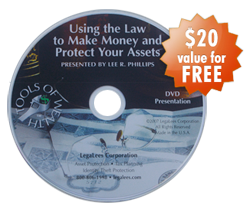 The LLP, LLC and corporate structures are legal tools for business people; just like a hammer is a tool for a carpenter. A skilled carpenter can make a hammer do a lot more that just drive nails into wood. (Maybe you’ve never watched a skilled carpenter use a hammer. It’s eye opening.) They work really fast with their hammer and do lots of tasks. You need to learn to use your business tool (LLC, LLP, or corporation) skillfully. When you do, you can work a lot faster and get a lot better asset protection and make a lot more money. Face it; you’re in business to make money. You may as well maximize your potential.